West Ham welcome Manchester United for their penultimate home game of the season on Thursday. 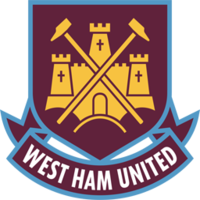 Read the match predictions to find out why Manchester United is the football betting tip to beat West Ham at London Stadium. It’s been a difficult season for West Ham who will hope to give fans something to cheer from back to back home games in the final week. First up sis Manchester United and Hammers’ boss David Moyes is expected to stick with the same side that secured survival with victory at Leicester at the weekend. Andy Carroll settled his differences with the manager last week and was given 15 minutes against Leicester but the former England target man is likely to start on the bench alongside former Manchester United defender Patrice Evra. Alex Sanchez is expected to return to the Manchester United lineup after missing the defeat at Brighton on Friday evening. Jose Mourinho could make other changes following the disappointing result with Jesse Lingard, Ander Herrera and Luke Shaw among those pressing for a place. There are doubts around Sergio Romero, Romelu Lukaku and Phil Jones who are suffering knocks. West Ham have only lost two of the last eight Premier League home games and will fancy they can get a decent result now that the pressure is off. They lost 4-1 against Manchester City in the last home match and had previously drawn with Stoke (1-1) and defeated Southampton (3-0). West Ham have match winners in the likes of Arnautovic and Manuel Lanzini, and this could be a lot closer than the league table might suggest. Manchester United need a point to secure second spot and Mourinho will not want to wait until the final game to reach his target. The 1-0 defeat at Brighton was the first in six away trips and United will look to bounce back having never suffered successive away defeats this season. 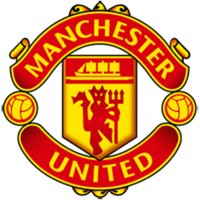 This is a fixture dominated by Manchester United in recent years and it could go their way again, albeit by a narrow margin. Compare match odds for West Ham vs Manchester United. Select from the drop down menu to compare odds for Both Teams To Score, Over/Under and Half Time/Full Time markets. Get the best odds for West Ham vs Manchester United and improve your betting results. Open a new account with online bookmakers and get free bets. Bet on West Ham vs Manchester United and receive a free bet or get a free bet on West Ham vs Manchester United.